Rob DeBlander Plays Hot Accordion Featured Music on this CD! 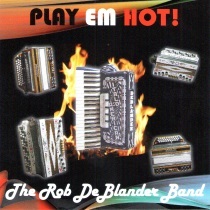 Rob DeBlander performs fine music on this CD entitled “Play Em Hot!”. There are many classic and familiar songs on this CD. Check out this CD today!